Well testing is a valuable and economical tool in the oil and gas industry. Thanks to the advances in mathematical modeling, measurement devices and computer capabilities, well testing continues to be a growing subject. 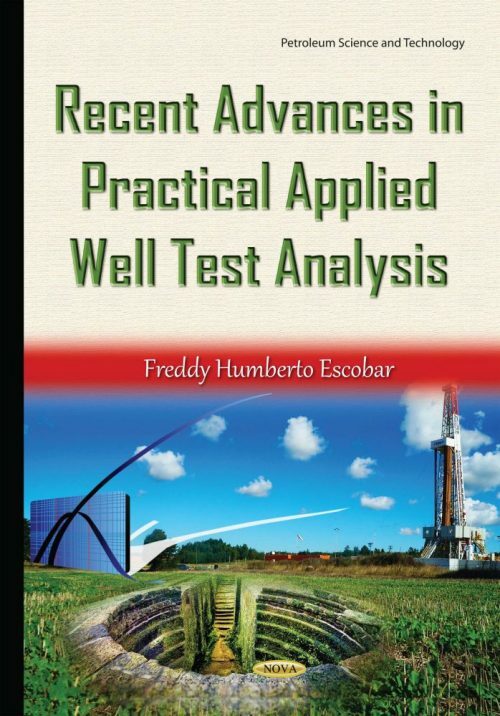 The information obtained from well testing is analyzed with the purpose of obtaining important reservoir information useful for hydrocarbon field management. The intricate mathematical models developed from numerous researchers during past and recent years attempt to show the benefit of mathematics in well test interpretation. This book revolves around the TDS technique. This revolutionary method is strongly based in the logarithm pressure derivative versus time log-log plot. It is applied to specific regions, features and flow regimes, which can be easily identified in the pressure derivative curve so several analytical expressions are obtained for a practical, easy and exact way of conducting a well test interpretation. This tool is too powerful and also allows verifying most of the estimated parameters. All the known commercial software include it without referring to it as the original name. During several years of providing training to several engineers and companies in Latin America, the author has noticed that whoever knows and uses the TDS technique will take it as its favorite interpretation method. Then, they take the outcomes from TDS to computer software to set the bounds for a faster and less risky model. The book contains the latest applications of the TDS technique to several important reservoir/fluid scenarios. Several step-by-step examples are given for a better understanding of the interpretation methodology in such important scenarios as heavy oil, conductive faults, enhanced oil recovery, fractured wells and naturally fractured reservoirs, among others.